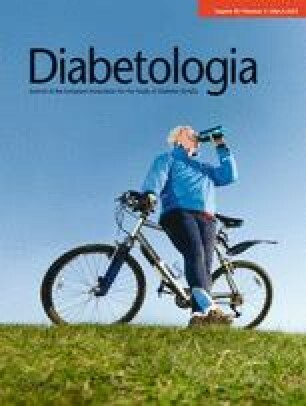 Many view beta cell transplantation as a promising future therapy for type 1 diabetes since, theoretically, it has the potential to normalise blood glucose regulation and thereby eliminate the secondary complications associated with long-term diabetes. However, two major hurdles need to be overcome before beta cell transplantation can be widely used in the clinic. The first is the need to prevent graft rejection effectively without adverse effects on the patients, and the second is the need to find an unlimited source of beta cells. The supply of islets from cadaveric donors is limited and is unlikely ever to be able meet the expected demand if most type 1 patients are to receive this therapy. Instead, stem cells, particularly human embryonic stem cells (hESCs) or the equivalent human induced pluripotent stem cells (hiPSCs), are anticipated to be able to provide the starting material for generating transplantable beta cells in large quantities in vitro. Several groups and companies are actively pursuing the goal of making beta cells from hESCs, but so far the goal of making fully functional beta cells in vitro has remained elusive. A report in this issue  underscores the problems encountered by most research groups but also shines a light of hope by describing a new methodology that will facilitate the search for culture conditions that may overcome these problems. Like other recent studies [2, 3], the present study reports that the generation of mature beta cells expressing the correct markers from hESCs is far from straightforward. Two different adherent culture protocols both result in immature insulin-producing cells. Glucose responsiveness was not tested, but in a previous study the same group of authors observed unregulated secretion of insulin from immature hESC-derived insulin-producing cells, leading to hypoglycaemia in mice that received the cells . It is unclear at which step in the protocol things go awry, but it is likely to be during the later stages, when pancreatic endoderm is induced and develops further into insulin-producing cells. Directed differentiation protocols are only as good as our understanding of the relevant developmental steps allows, and our knowledge of induction of pancreatic endoderm and its further differentiation into specialised exocrine and endocrine lineages is rather limited. In particular, the putative signals that regulate these lineage decisions and terminal differentiation events are largely unknown. To date, glucose-responsive cells have only been achieved by transplanting hESC-derived pancreatic progenitor-like cells into the kidney capsule, where the final differentiation steps occur under the influence of this in vivo environment. Moreover, the time from transplantation to the emergence of glucose-responsive cells is measured in months , making identification of the factors driving the in vivo maturation a lengthy and cumbersome process. Unless one plans to transplant multipotent hESC-derived pancreatic progenitor cells into patients, which essentially represents a new experiment for each recipient, it is necessary to identify conditions that allow hESC-derived progenitors to develop into fully functional beta cells. This is where the present study enters the stage . By targeting a green fluorescent protein (GFP) reporter to the INS locus and establishing a 96-well format spin embryoid body (EB) differentiation protocol, the authors can rapidly screen different culture conditions and, perhaps more importantly, isolate and characterise the hESC-derived insulin-producing cells and compare them with normal islet beta cells. Presently, many of the resulting hESC-derived INS-GFP+ cells show expression of the non-beta cell hormones glucagon and somatostatin suggesting that the INS-GFP+ cells represent immature endocrine cells similar to those obtained in previous studies [3, 4, 6]. This is corroborated by the immunocytochemical detection of polyhormonal INS-GFP+ cells and the presence of transcripts encoding the alpha cell-specific transcription factor ARX  in the INS-GFP+ population. Moreover, immunofluorescent analyses revealed that only a fraction of the INS-GFP+ cells expressed the beta cell specific transcription factor NKX6.1 , suggesting that most of the insulin+ cells are still immature. However, compared with the adherent culture protocols, the presence of INS-GFP+NKX6.1+ cells, albeit few in number, is a step in the right direction. The spin EB-derived cells were not tested in vivo, but a previous study by the same group, working with cells derived in adherent culture, found that when multihormonal cells were transplanted into the mammary fat pad of NOD scid γ mice and analysed 1 month later they evolved into a homogenous glucagon+insulin− population, similar to previous observations [3, 6], suggesting that similar polyhormonal cells found in vivo during pancreatic development may evolve into alpha cells. The widespread finding of the development of polyhormonal cells from hESCs is indicative of our current understanding about late developmental steps in beta cell development. The fate of the (presumably) equivalent cells found in vivo is uncertain. Previous lineage tracing experiments did not specifically study to the fate of such cells. It would therefore be helpful if future developmental studies were designed to address this issue. One elegant way of performing such studies would be through the use of ‘Cre reconstitution’, whereby two halves of the Cre recombinase (each inactive on its own) are brought together in a specific cell type through the use of different promoters targeting the same cell type . For example, the N-terminal half of Cre could be under control of the INS promoter while the C-terminal half could be controlled by the GCG promoter. Combined with a genetic lineage tracer such as the Rosa26 reporter (R26R), such animals could unequivocally define the fate of polyhormonal cells in vivo and thus indicate if similar hESC-derived cells are worth pursuing. In summary, the paper by Micallef et al. underscores the need to elucidate the signals that regulate late pancreatic development in vivo in order to guide efforts at directed differentiation in the future and additionally provides investigators with a new methodology to rapidly screen different culture conditions and monitor and characterise the resulting insulin-producing cells. Yet, it is evident that additional hESC lines carrying GFP reporters in genes such as PDX1 and NKX6.1 would expedite the further development of the field by allowing investigators to monitor and isolate pancreatic progenitors with potential to form beta cells. Thus, there is still a long way to go before fully functional beta cells can be made efficiently from hESCs. The author was responsible for the conception and design of the manuscript, drafting and revising the article and approving the final version to be published.